Most, if not all, of us know someone who has had an unintended pregnancy. Likewise, most, if not all, of us know someone who has had problems with infertility, and have gone through courses of drugs and procedures to try to have children. Both of these issues, unintended pregnancy and fertility, are hot button issues, often surrounded by a lot of controversy. If you follow the news, you might think that facing an unintended pregnancy, a woman has a choice between parenting and abortion. For families trying to have children, depending on who you listen to, you may think that all the medical issues surrounding fertility have been solved and medically assisted conception is an easy choice; or that fertility doctors are rogue cowboys, implanting eight embryos in a woman, just to see if it could be done. Right at the center of both of these issues, is the one option rarely talked about in the press: adoption. There are plenty of controversies and misunderstandings surrounding adoption. Adoption has changed in the past few decades, specifically the relatively new idea of open adoption, a new approach to adoption that benefits adoptive families, birthparents, and most importantly, the child. First some history: When I was younger, adoption was a Big Secret. Secrecy surrounded every aspect of adoption. Birthmothers, especially in religiously conservative homes, lived in isolation while pregnant, so no one would know they were pregnant. When a child was born, the baby was whisked away to an awaiting “good family”, whose identity wasn’t revealed to the birthmother. The adoptive parents would know very little about the birthparents, the birthparents would know very little about the adoptive parents, and a child might not learn that they were adopted, until they were an adult, or never. This veil of secrecy reinforced a mythology around adoption: birth mothers were “bad”, adoptive families were “noble” and “good”, and the adoptive child was never really fully “normal”. But the secrecy caused problems, especially for an adoptee, who grew up feeling stigmatized, wondering why their birthparents “left them,” and birthmothers, who might always harbor anxieties about a child they may never have even seen. Open Adoption turns this veil of secrecy on its head. With an Open Adoption, all parties to the adoption agree to keep the facts of the adoption open and transparent, within the limits of their individual senses of privacy. The birthparents can choose the adoptive parents for their child. The adoptive parents can get to know the birthparents. And, in due time, the child has the opportunity to learn more about their birthparents. This openness is risky, and can be fraught with challenges, but has some real benefits for all parties. For adoptive parents, a practical benefit of openness is knowledge of their child’s medical background. This can be of great value, especially in instances where unfamiliar health issues arise. Also, when a child asks questions like “Why is my hair curly, instead of straight like yours?”, a parent can answer with some certainty, without searching for explanations. Birthparents, especially birthmothers, benefit from an open relationship because lingering doubts and fears about the adoption decision can be checked and answered. Many birthmothers in closed adoptions suffer long term anxiety, because they naturally wonder, “Is my child OK?” In an open adoption, this is an answerable question. 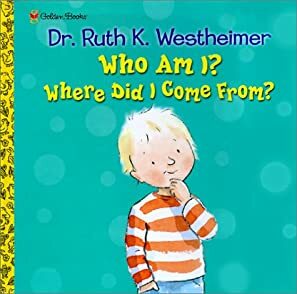 Most importantly, for the adopted child, there are no mysteries surrounding where they came from, who their parents were, or why they decided not to parent. In short, with open adoption, answers to the sometimes agonizing questions surrounding an adoption aren’t hidden under a veil of secrecy. This doesn’t mean the answers are always pleasant. People don’t choose adoption because everything is “Ok” about the pregnancy. But having answers, even unpleasant answers, is psychologically preferable than living with nagging anxiety and uncertainty about the most fundamental questions of human nature: Who am I? Where did I come from? Am I loved? After trying for a number of years to have children, my wife and I chose to adopt, through an open adoption. Before my daughter’s birth, we spent time with the birthparents, and were lucky to be present at the birth, my wife in the hospital room with our daughter’s birthmother. While we don’t see them often, we do regularly communicate with our daughter’s birthparents, and will actually be meeting our daughter’s biological grandparents soon. We’ve had few regrets about open adoption, and I hope you’ve learned a little more about it today. It is becoming a much more common and accepted practice. Open adoption lifts the veil of secrecy surrounding adoption, with practical benefits for the adoptive family, the birthparents, and the adoptee. My wife and I never imagined that we’d adopt, but we are tremendously pleased to have a family, through open adoption. Considering adoption? Please contact me if you want to know more about open adoption. Let’s talk!